Wargaming has revealed that World of Tanks: Xbox 360 Edition will officially launch on February 12th. Last year, Microsoft revealed that World of Tanks, Wargaming's free-to-play game of tank combat, would be coming to Xbox 360. Now, Wargaming has revealed that console gamers eagerly waiting for the chance to get their tank on won't have to wait much longer. According to an announcement from the developer, the game will be available for download on February 12th, after a day one update. This release date reveal also included some other bits of interesting and pertinent information. For instance, while World of Tanks: Xbox 360 Edition will require an Xbox Live Gold account to play in the long term, anyone with an Xbox Live account will be given a 7-day free trial. 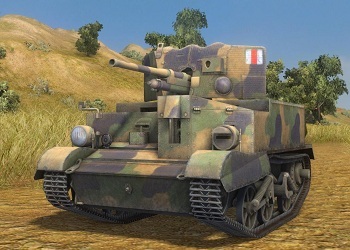 The Xbox 360 Edition will also come packaged with "more than 100 iconic tanks" based on units from the United States, Germany and the United Kingdom. This is markedly less than the PC version, but Wargaming has affirmed that it will be adding more tanks and nations in the future. The take away from all of this is that if you've been curious about World of Tanks in the past but lacked the PC hardware necessary to give it a proper go, this may be the opportunity you've been looking for. The simple fact that it's free should be incentive enough to at least give it a try. Now if you'll excuse us we need to research our tank options so we'll be ready for war come the 12th.